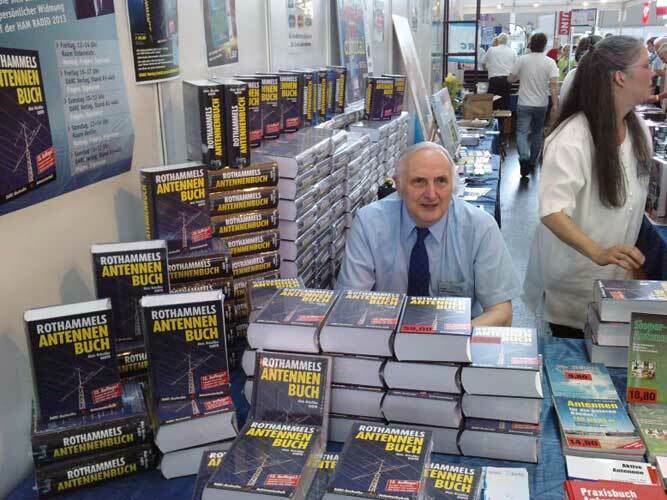 The Ham Radio 2013 in Friedrichshafen, Europe's largest fair for the Amateur Radio community, proved to be a complete success for publishers DARC and me. Having not given a talk for more than 25 years, I still seemed to know the secrets of the trade. 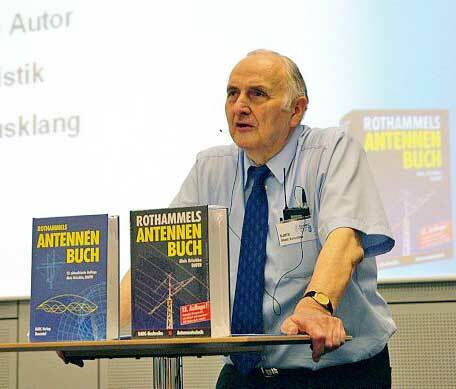 The talks "Der neue Rothammel - Mein Weg zum Antennenbuch"
lasted for about an hour and contained 52 images. 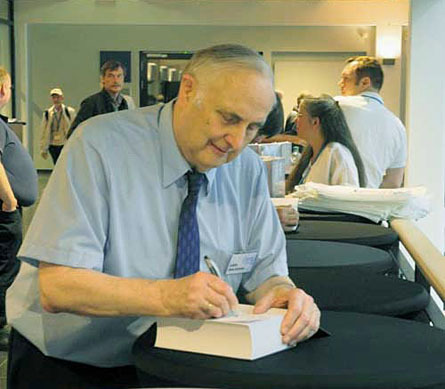 The book-signings after the talks and at the DARC publishers' booth were well received. I signed more than 400 books. Attached there are some images from the fair.